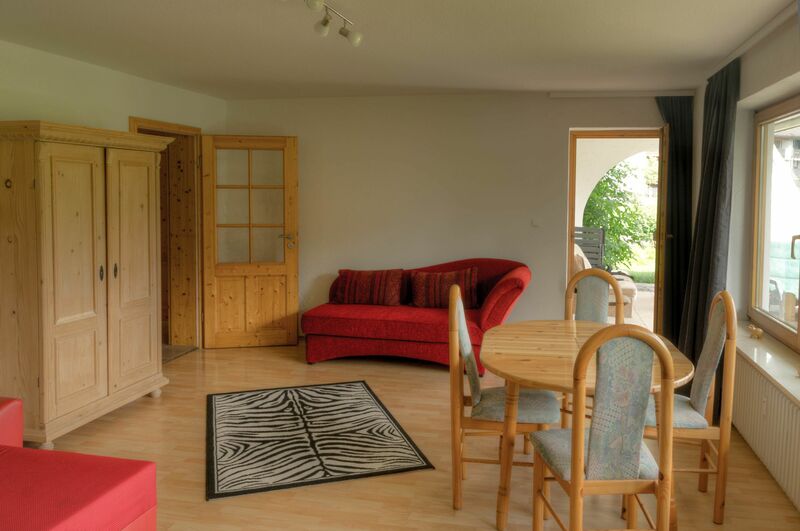 You will feel comfortable in this holiday flat. 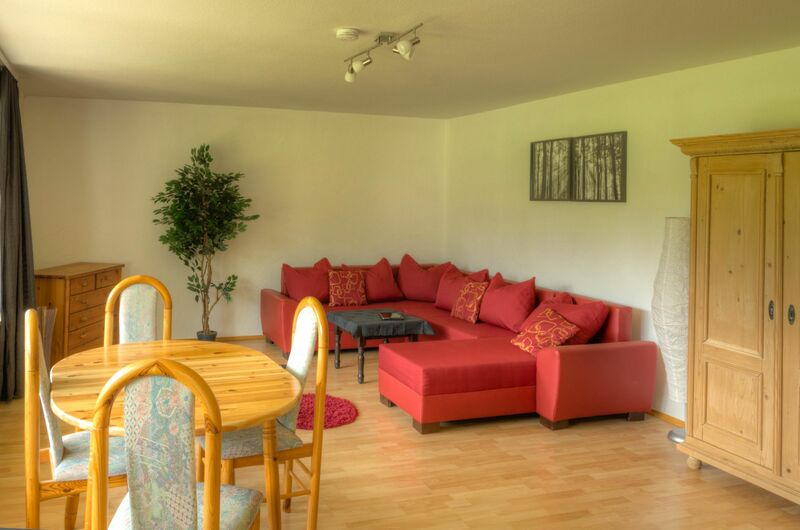 There are 2 sleeping rooms, a big living room with couch, TV and eating table. 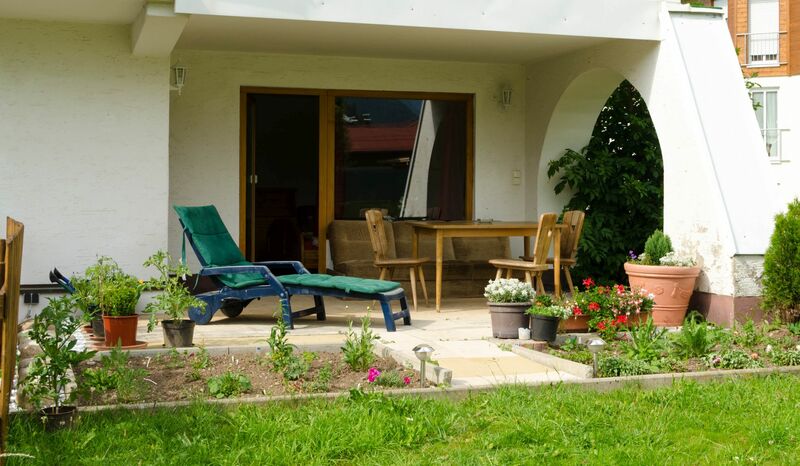 Further more there is a garden with lawn for playing and relaxing. 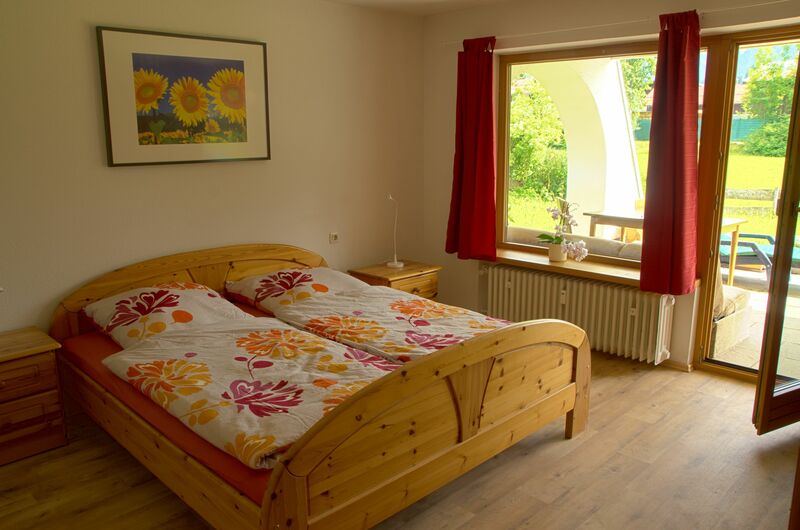 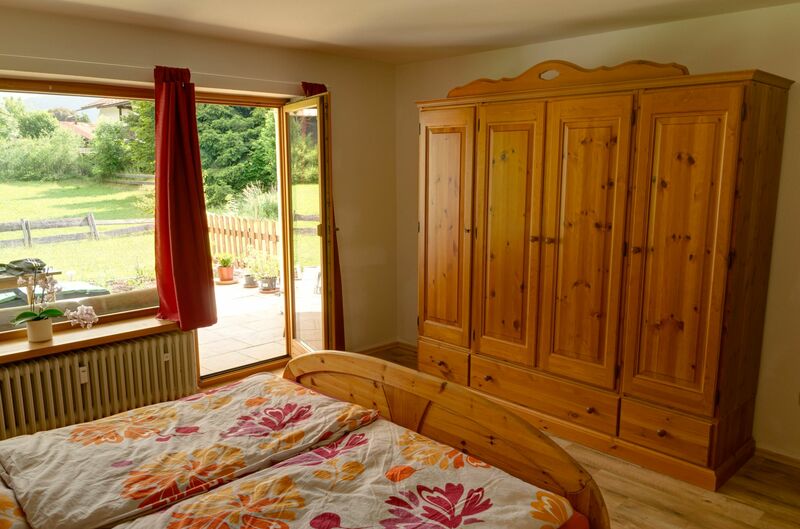 You will have a beautiful view of the Oberstdorf mountains. 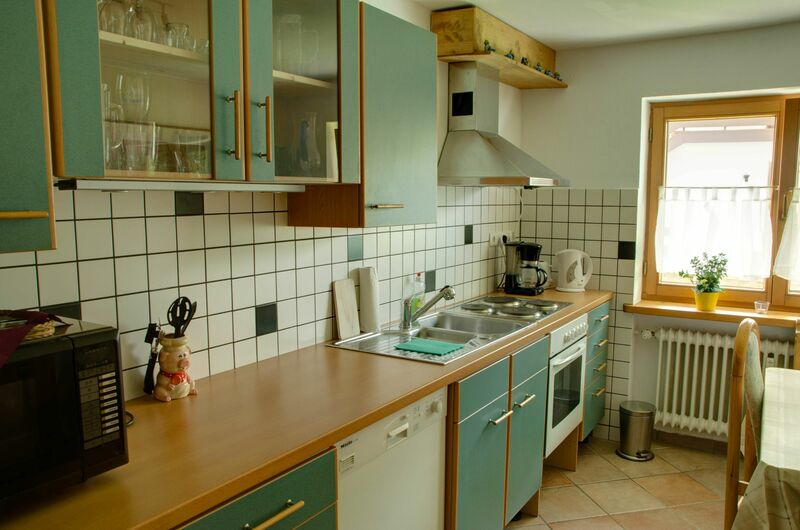 The kitchen is fully equipped (including dish washer, oven, microwave, cooking and eating gear etc. 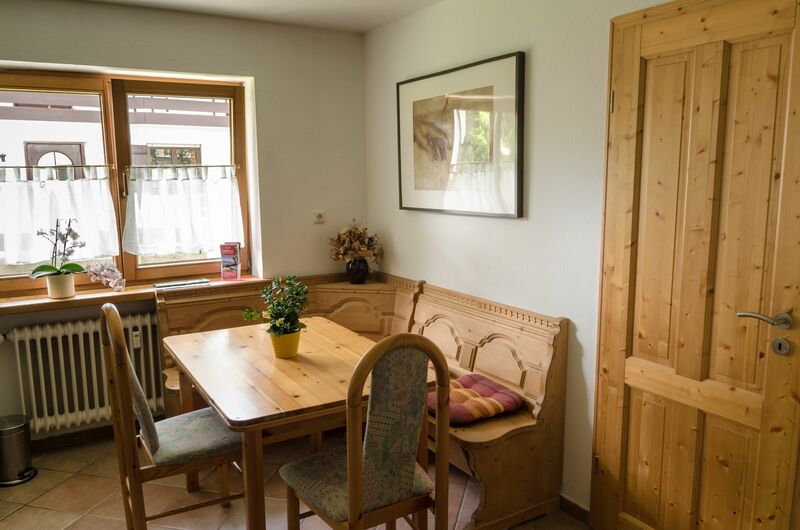 ), with an eating table with corner bank and chairs. 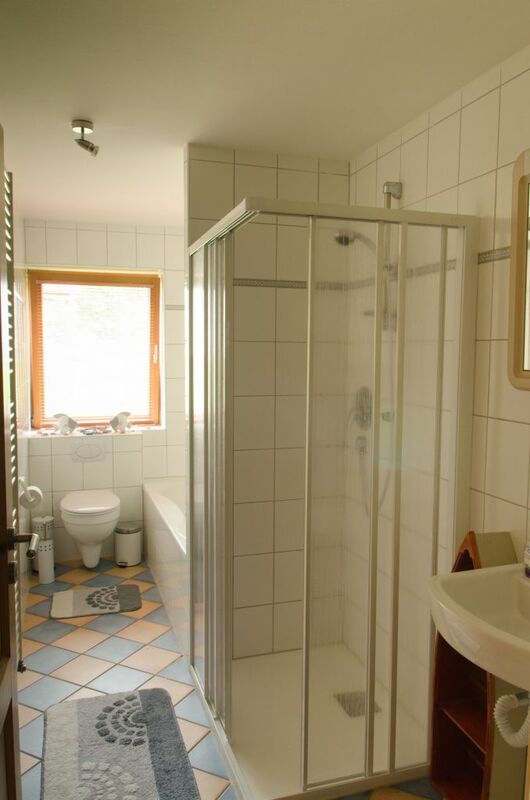 The bathroom has a shower and a bath tube.